Money or not, whatever the need was, it seemed to be met, Martin Dodd recalled. That’s how Sun Street Centers began, originally a residential program for alcoholic men. Board by donated board, kitchen tile by kitchen tile, it took shape. Slowly, it filled a space near Lake and Sun streets, near the edge of Carr Lake in Salinas. “We had no money, but God was good,” Dodd said. 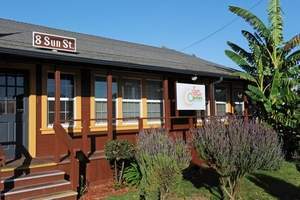 He and his late wife Nancy founded Sun Street Centers, 8 Sun Street, in 1968. Over the decades, the facility, which recently celebrated its 45th year, has multiplied its services. Though he retired in 2000, Dodd, a 79-year-old in a turquoise-colored shirt and khaki slacks, still stops by Sun Street Centers. “To meet with the guys here, to answer questions and maybe give people a sense of (the facility’s) history,” he said. Plus, there are plenty of memories to revisit. That’s because Sun Street Centers and Dodd are linked by an intertwining history. Over its 45 years, the facility has expanded. Today’s focus centers on a range of relevant services — on prevention, intervention, education, counseling, outpatient and residential treatment, recovery and sober living, said Anna Foglia, chief executive officer. 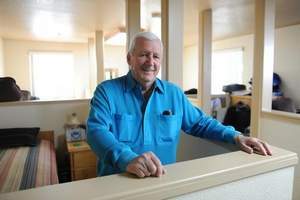 “In the past 45 years, Sun Street Centers has helped thousands of men, women and families reunite, get healthy and get back on the road to recovery,” Foglia said. Sun Street Centers today serves 8,000 clients yearly. Those clients put 10,000 hours of volunteer service back into the community. Sun Street Centers residents were among the first used by Meals on Wheels. They’ve given time to the Rodeo, the Salinas Valley Half Marathon and countless other events. Dodd enters the complex through the office door at 11 Peach St. He and Nancy, with support of residents, organizations and businesses, were the architects who structured the facility’s purpose and direction. In fact, a framed portrait of the couple hangs in the waiting room. Dodd had been 17 years old and Nancy Wheelis was 16 when they married and dropped out of high school in Atlanta, Ga. That was in 1952. Eventually, they had two sons and two daughters. Dodd, himself, is a recovered alcoholic, who, in 1964, began his own journey back into sobriety. Salinas became a factor in the Dodds’ life in 1965. That year, a company hired him as a salesman for its Salinas territory. Soon, though, Dodd realized sales was, for him, a career mismatch. In 1966, he left the sales job and enrolled in Hartnell College. He was also working part-time for the local War on Poverty program. To help support their family, Nancy took a job with a local loan company. Salinas back then had a population of roughly 50,000 and arrests for public drunkenness were peaking at 10,000 yearly. Public alarm at all the drunkenness was such that, by January of 1966, a Salinas Valley Council on Alcoholism had been formed. 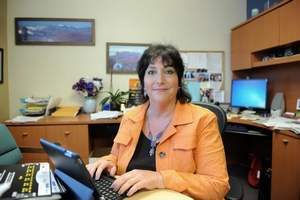 The SVCA’s intent was to encourage prevention and treatment facilities to deal with alcoholism and Dodd became its volunteer executive director. Yet, Salinas wasn’t yet interested in “the disease of alcoholism or prevention,” Dodd recalled. Citizens, instead, wanted immediate steps to curb public inebriation. One hundred of those cited, after all, would show up for court every Monday morning. Along with seeming lack of interest in addressing the deep-running reasons for alcoholism ran a lack of interest in funding a facility to take on such a mission — at first, at least. “In those early days, the council had maybe $5 in the bank and $30 in bills,” said Dodd, recalling the desperation of bone-dry resources. Soon, though, support began to grow. 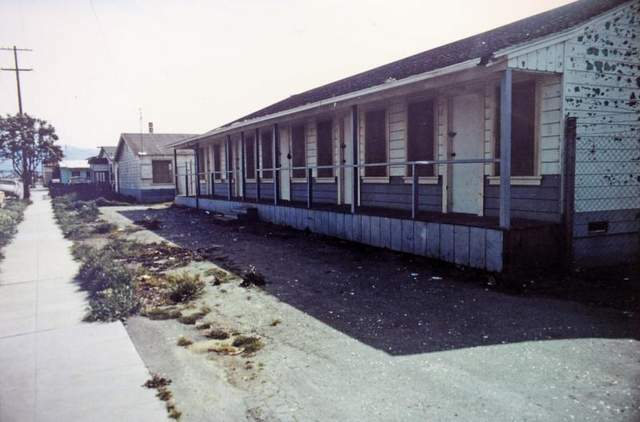 An abandoned, vandalized and partially burned labor camp became available at the Sun Street site as a possible setting for a rehab center. In January 1968, Dodd proposed that the SVCA Board raise $50,000 to open such a center. The owner then offered the labor camp free for two years if improvements were made. Prominent citizens such as Monsignor Earley of Sacred Heart and John Cohan, owner of KSBW, began to line up behind effort. Owner-publisher of The Salinas Californian, Francis Cislini, assigned reporter Helen Manning to write stories about the project, a step which helped orchestrate and inform public interest and support. “Old Labor Camp to Aid Alcoholics” read the headline over Manning’s first story. Service clubs such as the Salinas Jaycees got involved, too. Volunteer workers began to renovate the teetering camp. Martin and Nancy and their children joined volunteers from Hartnell College and Victory Mission as they chipped old pain off old siding. The Army provided surplus cots and bedding. Many of those who helped had lives that had been impacted by alcoholism — a family member maybe, or a friend, or even themselves. Then started a pattern of “grace gifts.” Whenever there arose a need for electrical or plumbing or whatever task, a “drunken” tradesman seemed to show up unexpectedly seeking a place to sleep and a way towards recovery. In exchange for help with his addiction, he then provided professional grade workmanship on the project. One of the first seeking help arrived with his belongings stuffed in a paper sack. Turned out the man was an electrician. What they did do was a trade. Do a task and get a cot on which to sleep is how it went. “Every time we needed something, somebody would show up,” he said. “My folks had a trailer and we used that as a kitchen. We had to get plumbing and we got that from Army surplus. Men told us, ‘You get us food and water and a place to stay, and we’ll build it. In rebuilding the center, they were starting to rebuild their lives, Dodd said. “The universe seemed powered by grace,” he said. By the late 1960s, things were moving along such that Nancy was serving as secretary, bookkeeper, receptionist and family counselor. Sun Street began to provide space for Alcoholics Anonymous and Al-Anon meetings, too. In the early 1980s, former First Lady Betty Ford visited, with an appearance at Sherwood Hall. Five hundred people showed up. After that, residents from affluent areas began showing up in AA. Sun Street Centers is painted a refreshed rusty red with golden sunshine trim. The courtyard’s grass is green and neatly cut. The facility’s 54-beds are consistently full with clients. Since its first days, the focus has expanded so the effort today includes prevention, counseling, recovery and more. Counseling includes DUI education, outpatient services for women, live-in rehabilitation for men, and Pueblo del Mar in Marina, for which Sun Street Centers provides recovery services for homeless families. Prevention targets students in schools and their parents and tries to educate them all about drug use. Up the stairs in Foglia’s office, above the waiting room where the portrait of Martin and Nancy hangs, for example, three college student leaders compare notes. Sylvia Ramirez, Itzel Greer and Jorge Quiroz, lead program aide, go to area high schools and middle schools to speak about alcohol and drug abuse. “Our student leaders go out and educate other students on the impact that alcohol and drugs have on the brain and body,” Foglia said. “That way the students can really inform themselves so they can talk to their peers with facts. The intent is to educate students about alcohol and drug abuse and the ravages to body and mind that follow using and abusing. On their forays to schools, the three dispense information but also collect anecdotes and impressions, and the news from those is disheartening and often alarming. In a 12-year-old’s body, which isn’t fully developed, a drug like molly can damage the brain, Greer said. The vast majority of homes also have alcohol within the home, the three prevention workers said. 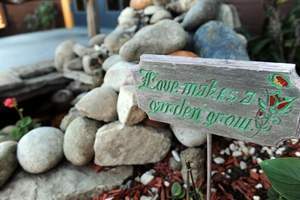 Some parents grow pot at home, which they then smoke. Or they make drugs in the kitchen sink. The supplies are plentiful. Students may buy from a fellow student. They may phone an off-campus dealer. They may raid their parents medicine chest for prescription opiates, a class of pain killers which can be highly addictive. 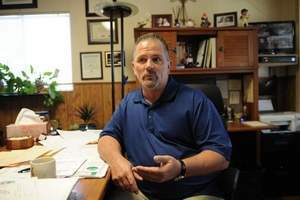 “They wrongly think that because it’s a prescription drug, it’s a safe high,” Ramirez said. Some marijuana crops are cultivated using a toxic pesticide outlawed in the U.S. A drug that pollutes streams, it is toxic to wildlife and can end up in the smoke inhaled by a young user. A description of Sun Street Centers lies in the story of its founders, in the programs it offers, in the businesses and organizations that support it and, most profoundly in the lives of the clients with which it works. In the Sun Street Centers kitchen, for example, Jose Serra, 47, and Johnny Morris, 60, pour themselves cups of steaming black coffee. The two, each having struggled with addiction, are clients. Serra was a farm laborer who had little formal education, he said. At age 22, he started drinking heavily, he said. First it was beer. Then it was a switch to cocaine for five years, he said. Serra would spend maybe $500 a week on drugs. For three years, he did meth. He would steal soda and candy and sell them to get money to buy drugs. “I smoked meth so that my front teeth are gone,” Serra said. He lifted his lips to show an arching gap between his two upper front teeth. “Meth destroys your memory and your teeth,” he said. “I lost connection with my family. For 10 years, I didn’t even see my mom. Then I called her, and she cried and I cried. Morris is an Alisal High School graduate, who started with pot and beer and bennies, which are amphetamine tablets, he said. “I was an alcoholic for years before drugs,” he said. He’d drink as much as a 12-pack of beer and a pint of rum in a day, he said. 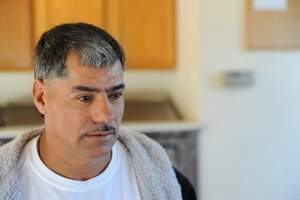 He’s been through several treatment regimens at Sun Street Centers and has reached a point of no drugs or alcohol so that he can work. As for the younger generation of boys and girls who may be experimenting with drugs, he is pessimistic. Eddie Hathcock is program director at Sun Street Centers and an employee who knows his subject well. His years of addiction had included a wide range of drugs. “Meth, pills of every type, crack cocaine. All of the above,” he said. Hathcock’s drug of choice, though, was heroin and cocaine, a dangerous mix called “speedball” on the street. As an addict, he “hit bottom,” as the saying goes. Meaning in and out of jail off and on for three years. Before all that, he’d owned a successful transmission shop. During his second year on the job, he started on meth. At first it seemed to energize him so that he could work longer hours. Eventually, though, his drug use left him broken, divorced and homeless. In 1993, he was introduced to heroin, which drew him into the nether world of addiction. “A slow, dark slide,” he called it. A judge finally told Hathcock that if he ever showed up in the judge’s courtroom again, the judge would sentence him to four years in the state penitentiary. He’d need to go through six months of treatment, too. In terms of trends drug-use about the city, Hathcock has noticed in the last two years there’s been a boom in dependency on opiates. “Since 2010, it’s skyrocketed,” he said of the opiate use. Often it starts with young people taking prescription medications out of their parents’ medicine cabinet. Maybe they get a painful volleyball injury or fall off a skateboard. “Often they come from very good homes where there is typically no dependency,” Hathcock said. Some doctors are quick to supply opiates, and Sun Street Centers does work with physicians to find other, less addictive alternatives, killers, Hathcock said. Also, there is newer opiate blockers which can be used in cases of addiction. Addiction should be the greater community’s concern because the user’s life is impacted but so is the community and the family, Hathcock said. Dodd’s been a leader in creating a “social model” approach to addiction. That social model calls for modifying the environment as a means of countering the problem. For example, reducing available alcohol in the home. Toss the gin bottle hidden in the cereal cupboard, and that reduces the potential for abuse. Likewise, reducing the number of bars and liquor outlets scattered about a neighborhood would cut back on the number of people getting drunk. “Instead of focusing on alcohol, focus on the environment,” Dodd said. AA (Alcoholics Anonymous) works because it forms a community of shared values. “Don’t use it in the home. At the least, nothing illegal. Curtail parties,” he said. Addiction always proves to be a case of “Monkey see, monkey do,” he said.